This year's luncheon speaker will be Hydrology Alumnus David Jewett, Acting Deputy Division Director of the U.S. Environmental Protection Agency's Groundwater, Watershed, and Ecosystem Restoration Division (GWERD), in the EPA's Office of Research and Development's National Risk Management Research Laboratory (ORD/NRMRL). David Jewett's luncheon seminar talk is titled, "The U.S. EPA's Groundwater, Watershed, and Ecosystem Restoration Division." He will discuss the USEPA/ORD/NRMRL Groundwater, Watershed, and Ecosystem Restoration Division (GWERD) and research conducted at the GWERD by scientists and engineers in the Subsurface Processes and Protection Branch (SPPB). This research includes several technologies and strategies, developed and refined by GWERD/SPPB researchers, to better characterize and remediate contaminated groundwater. Technologies and strategies, such as flux-based site management (FBSM), monitored natural attenuation (MNA), permeable reactive barriers (PRBs), and the use of nanotechnology (using emulsified zero-talent iron, EZVI) will be presented and discussed. 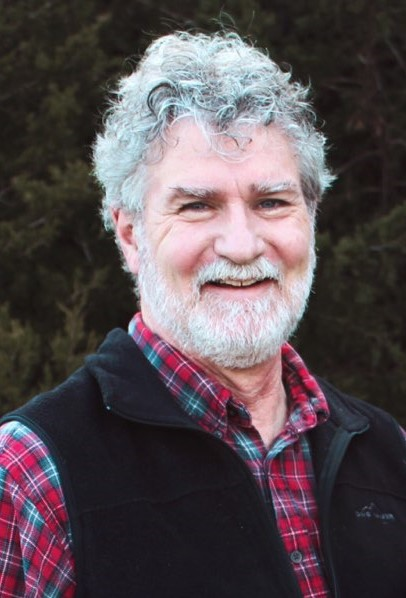 David G. Jewett has over 35 years of experience as a hydrologist in government, academic, and environmental consulting settings. He currently is serving as the acting Deputy Division Director of the U.S. Evironmental Protection Agency's Groundwater, Watershed, and Ecosystem Restoration Division (GWERD), in the EPA's Office of Research and Development's National Risk Management Research Laboratory (ORD/NRMRL). He began his career of federal service as a research hydrologist in the GWERD's Technical Assistance and Technology Transfer Branch, providing technical support to resorce managers on contaminated groundwater issues at hazardous waste sites across the United States. Dr. Jewett's position of record is Chief of the Subsurface Processes and Protection Branch at the USEPA/ORD/NRMRL/GWERD, where he leads a team of environmental engineers, geologists, geochemists, hydrologists, soil scientists, and computer modelers conducting research on the fate and transport of mass in the subsurface environment. He has served as the acting Division Director of the GWERD and as the co-Director of the EPA's Center of Subsurface Modeling Support. Jewett holds a BS degree in geology from Syracuse University, a MS degree in geology from the Wichita State University, and a PHD degree in hydrology from the Department of Hydrology and Atmospheric Sciences at the University of Arizona.